Pet Blogger Challenge, Round 4: Giving Me a Break | Will My Dog Hate Me? Welcome — and thanks for taking part in the challenge again! It’s nice to be back. As I wrote in the post announcing this challenge and my role as a co-host with Amy of GoPetfriendly, it’s a bit disconcerting to come to this event without a pet — and with less than 6 months of regular postings under my belt in this past year. But I thought it was a good opportunity for me to take a breath and take a look at where I’m going with Will My Dog Hate Me now that its muse, my sweet Frankie, has left the building. And of course I want to know what all of you have been up to. I feel bad that I haven’t been as involved as I’d like to be with others in this oh-so-supportive community. I hope this is a step towards changing that. And in case you’re thinking of reminding me of my tag line…the guilt-free zone only applies to dog care, not to being a bad member of the blogging community. And, hey, it’s my blog, my rules — including my exceptions to them. Since April 2009. Except for the year I took off, August 1 2012-August 1 2013; I like symmetry. 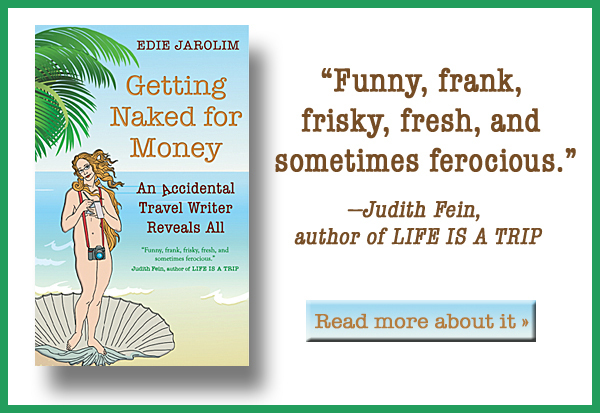 I started this blog to publicize a book I’d written, a humorous reference/advice book that described what I learned when I adopted Frankie, my first dog: Am I Boring My Dog: And 99 Other Things Every Dog Wishes You Knew. The blog was eclectic, to say the least, touching on a huge variety of topics. And it kind of went off the rails, including a variety of features such as a pet travel book club, rants against Cesar Millan, even pet fashion… but at its centerpiece was always Frankie, who embodied the mystery that is dog. It feels empty without him. Returning to blogging. Dealing with difficult subject matter. Having a fund-raising campaign. Wow, that’s three. I see that a theme is emerging here. The fact that I’m blogging here again is what has changed the most. As I mentioned, I have been a terrible blogger, by almost all criteria of good blogging practices — commenting on other people’s blogs, participating in challenges (except for this one), keeping up with blogging communities, inviting people to guest blog… I’ve been writing for myself, primarily, while hoping that what I had to say would be of interest to others. But it seems I had amassed a lot of credit in the good karma bank from my past blogging practice; see Expect the Worst! And Be Utterly Surprised and Thrilled When You Get the Best. So my advice would be to be generous and kind — but not in a phony, smarmy way, especially if you tend to be a smartass like me; people won’t believe or trust you. If you are genuine with your praise and helpful, you never know when your actions will come back and give you a warm group hug. I haven’t been concerned with traffic for the most part, though I sneak looks at Google Analytics occasionally. So I’m going to have to go with trying for great content and, to a lesser degree, trying to be involved with social media. Well, it depends on how you look at Facebook, where I have been doing most of my blog publicizing in the past months, though I initially started out with Twitter. It’s a huge time sink… but it’s also a way to engage people. If they like what you post on related topics or just get a sense of who you are, they may be interested enough to come to your blog. At least that’s the theory. Note to self: Try to stop posting about politics, at least politics relating to humans. Animal welfare politics is fine. I don’t really have features or themes these days, but if I wanted to work on driving traffic here again, I would probably reintroduce the Pet Adoption Videos That Don’t Make Me Want to Kill Myself series. I loved that, and I need to fight fire with fire. 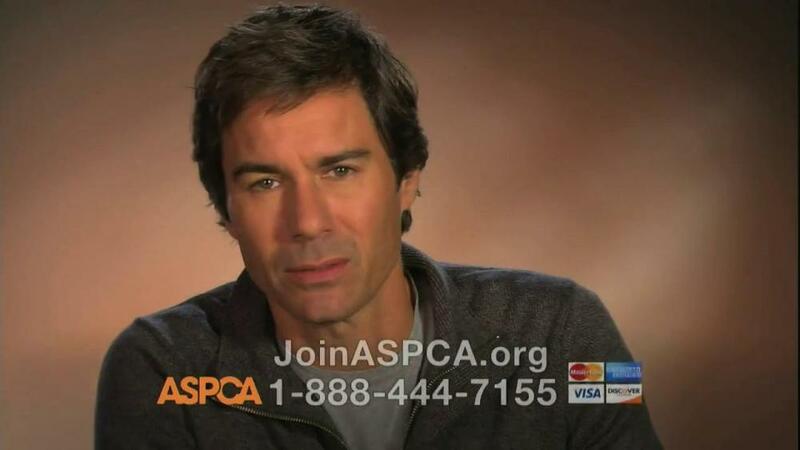 The ASPCA is ramping up their tugging-at-the-heartstrings/making-me-ill game with their newest campaign, which features Eric McCormack. It’s not fair. I love Eric McCormack, and I particularly love Eric McCormack with a cute animal in his arms. You’re making me turn the channel or leave the room, ASPCA. It’s war! Not these days. Aside from anything else, I’d be hard pressed to find a product that I could promote without feeling deeply depressed that I don’t have a pet to endorse it. And the products I could theoretically endorse — urns and other memorial products — would deeply depress me in another way. Wow, who could predict that a question about product endorsement would inspire me to use the phrase “deeply depressing,” twice? Because I blog infrequently and on my own schedule, I find that I don’t get writer’s block. My problem is finding myself writing long posts and editing them endlessly, which takes away time from writing projects that pay the bills. With those, I get writer’s block…. As I noted in my answer to question #1, I took off a year to work on another blog, FreudsButcher.com. I’m amazed that, although I took a break from blogging, my blog didn’t break (although my heart did when I had to say good-bye to Frankie). I originally thought my break from pet blogging would be permanent. I even wrote a post called Auf Wiedersehen Will My Dog Hate Me. A year later I wrote a post called We’re Baaack! It pretty much says everything I felt at the time, although a part of me might have sensed on some subliminal level that it was time to let Frankie go. There was no way I could do that without publicly acknowledging his importance in my life and without letting people who had come to care about him say good-bye. I’m not going to make any major decisions but I feel comfortable committing to writing at least one post each week. For one thing, I want to keep everyone who contributed to Frankie’s Fund in the loop about where the money they donated to Grey Muzzle is going, and I just got the word that I can announce it: the Old Dog Haven‘s “Final Refuge Dogs” program. I’m so excited to be helping this great cause and I’ll be posting much more about it soon. For another, I want to keep Frankie in the limelight — whether I talk about finally finding the perfect place for his ashes to rest or about the mourning process. And I haven’t lost interest in animal welfare issues. In fact, since I brought up the topic, I’m thinking that I might have to post a Pet Adoption Video That Won’t Make You — or Me (I’ve never decided) — Want to Kill Yourself/Myself featuring a hot guy every time that the Eric McCormack ASPCA ad comes on. Here’s my favorite, right now, because I need to erase those sad images. ← Frankie’s Fund Is a Huge Success! I didn’t realise you were back, Edie, until you hosted this challenge. Welcome back, but I am sorry to hear that your return was driven by grief over Frankie. I’ve only skimmed through your posts so far, but I hope I find time to read them as I feel that is a bit deficit on grief in pet loss, and I hope your posts may have some insights that help others. Thanks very much for coming by. I hope that I am able to help others know that it’s okay to grieve. And, yes, it’s great to be back among people who are besotted by pets, in all circumstances. Frankie lives on in ways you can’t imagine. I was leaving the mall today, and a little white face caught my eye. I promise you, I thought, “That’s Frankie!” And I just stared and got kind of verklempt. So his little soul still sits in all of us who followed him through you. I hope 2014 brings you some healing. And I hope you know we all want you to keep blogging; pet blogging isn’t just about the pet you have, it’s about how you love animals in your heart. Welcome back Edie. I haven’t had time read all of your posts since you’ve been back but I really appreciate the deep sharing you did during Frankie’s last adventure. It can be really hard to put those things out there but it is a subject that doesn’t get enough “air time”. Often we have a tendency to say “sorry” and expect people to move on. I am so sorry that you’ve suffered such grief this past year. I am looking forward to reading your blog. I had to laugh at the “Pet adoption ads that don’t make me want to kill myself” because I think we can all relate! Yours was much better although I did get a lump in my throat when the dog said “home?” with that look in his eyes. Of course, I cry at the National Anthem during football pre-game shows so don’t go by me! Thanks for co-hosting this year’s Challenge, it’s my first. Oh, I cried too — but not in a bad way… Welcome to the blog challenge! Love your idea about those videos! I cannot watch any of those ASPCA ads. I’m glad you’ll be continuing this blog. I’ve been a lurker for a long time. I rarely comment because usually your posts spark all too many thoughts in my head for a coherent comment. Though I’m sorry about that, it’s a compliment. No, really. It is. In hindsight, one of the best things that happened in 2013 in the pet blogging community, was your return. You always have inspired me, changing my mind about topics, or make me apply some of the lessons I learned here in real life. Although it is bitter at the same time, there would never have been an operation spoil Viva, if Frankie and you wouldn’t have returned, and I am forever thankful for that. Just looking at Eric McCormack’s broken face in that still image makes me sad. Damn you ASPCA. That APA video is great, though. Thanks for hosting today! I look forward to seeing how your blog evolves following your return. Thank you for co-hosting this hop, I think it’s a great opportunity to reflect on where we are, where we’ve been and where we’re going. I had no idea you were back to dog blogging until recently, and I’m very sorry for the loss of Frankie, but glad to see you back and doing something you love. I’m with you on the whole ASPCA, as soon as I see any of those commercials come on, I scream “Change the channel” I definitely think there are better ways to get a point across. And I get confused about which of the pet societies are good and which ones really aren’t. In general though I think there are better, more positive ways to get their points across. Welcome back. I like you hate the ASPCA ad spots and will turn the channel as well. But I love the video here even if it did make me cry but in a good way. Hope to read more of your writing. Oh, this on-again off-again blogging roller coaster, Edie. What ever will we do with ourselves? It’s been good to see much validation challenge-wide that a break is not only okay, but often necessary. I’m so impressed that you’re taking on a post a week. I’m not able to commit to any kind of regularity. Calendar challenged am I so its better that I avoid broken promises altogether. But I am so pulling for you. Cheers to you! And cheers to the spirit of Frankie living on in the beautiful way that Leo describes in his challenge post today. You’ve been gone and back and I didn’t even know about your blog. I feel like I’ve been missing something huge. 🙁 I’m glad you’re back, though. I liked your answer to number four. Thank you for bringing back the best anti-(blog)bullying campaign ever! And even more, thanks for bringing yourself back to your dog loving peeps, even if it was sad times that prompted it. I love your Pet Adoption Videos series. Of course I’m such a fan, I’d come by to read you writing about paint drying. Thanks for hosting this hop Edie! It’s something I look forward to each year. I admire your very honest answers to the questions, and I see a theme going, where there are several bloggers that sometimes just to take a break from blogging, me included. Glad that you are back here. I’ve been lurking, and I’m sorry for not leaving any comments, at times I had to much too say and other times I couldn’t find the right words. 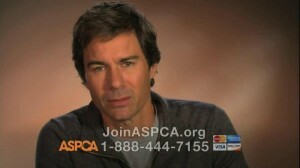 Okay, so I thought it was just ME that saw that the ASPCA commercials had been ramped up. I adore EM and the commercials seem so much longer (when I click back to my channel, it’s still going on). Looking forward to the post you referenced. I’m so sorry to hear about the loss of your dog. That is absolutely heartbreaking. Being depressed is the worst (I deal with that a lot). I’ll be praying that your healing comes quickly and that your pain will turn into inspiration and hope. Cinco and Manna (my cats) send their purrs your way. It’s so hard to lose our muse and I so appreciated all that you shared about saying goodbye to Frankie. Damn you 2013! You took too many sweet babies from us. 🙁 I’m so glad to see you back! Thanks for co-hosting this blog hop!! I think that you came back to share Frankie’s final days with us is one of the kindest gifts you could have given the pet blogging community. Frankie was an icon, like our rock star and allowing us all a final good bye was such a wonderful gesture, even though I can’t imagine how it hurt your heart to do so. I love that you still beat the sound of your own drum, post when you are moved and only write what speaks to you. It shows in your posts 100%. I totally feel the same about ASPCA’s campaign. I will say HSUS had a great commercial over the holidays with a happy story. I’d love to find out how well it did. I really appreciate the honest, heartfelt post — and that is a great ad! Thank you for sharing — and thank you for getting me back into blogging and into the challenge! I think Frankie will be in our hearts always. Your comment to be generous and kind is a good idea for blogging and life. I love the video series, and I’m excited to see it re-emerge. I’ve always been impressed by how well you stay on top of and utilize Facebook. Between that and your once-a-week posts, I’m excited to see where you go in 2014! I loved that video, which brought tears to my eyes….thanks for sharing it. I like your idea for your own pet adoption video too. I haven’t seen Eric McCormack’s…..no, don’t need to, even though I love him also! I think writing about your grief is important….everyone who has lost a pet wants to know that they are not alone in their feelings. Yours was one of the first pet blogs I discovered when I started blogging, and Frankie was one of the first dogs I “met” through the blogging medium. The combination of your beautiful writing and his adorable face kept me coming back, time and time again. This past year, I was delighted to see that you returned to this blog, but heartbroken to learn what had prompted it and that you had to say goodbye to Frankie. However, your series of posts about his farewell contained some of the most touching and beautiful posts that I’ve ever read. I cannot thank you enough for sharing all of that with us – I have no doubt that you have made (and will continue to make) a difference for countless people facing the loss of their furry best friend. I’ve always found you to be a generous, welcoming, and kind person, and – to echo Pamela – I would stop by to read anything you write, even paint drying. Or peeling. Generous and kind … these words, your comments conjure up the lyrics of “Kind and Generous” by Natalie Merchant and all I keep thinking is how important you were in Frankie’s life and how important he was in yours and how you have preserved his memory through your blogging. As a pet mom and a blogger I appreciate your words and your honest writing and I look forward to reading more on your blog as your continue on your journey. No words I can say could ever be enough to mend your heart after your loss of Frankie but please know that we share in your sadness and have all paws crossed that time will be a vehicle in lessening the pain. I think pet adoption videos/advertisements that don’t make you want to kill yourself are an overlooked issue. Severely overlooked. People complain about how sad the ads are, but they’re the most prevalent ones. I am so relieved to hear you will be continuing to blog in this space. The Petosphere is not the same without your voice and without stories of Frankie. I am always excited when I see one of your posts in my inbox and make sure to take the time to read it, even if I don’t always feel like I have something to contribute comment-wise. You have such a great way of phrasing things that helps me consider points in a fresh way. I love being challenged in that way. I also really admire your ability to be so vulnerable in such an emotional time. You have helped countless people with your bravery. It is something we all should do a little more. I’m so excited that you’re considering adding to the video archive! And I can’t believe the ASPCA would strike such a low blow. Eric McCormack? Come on, that’s just wrong. Having you back on Will My Dog Hate Me has been wonderful, though you’ve been dealing with a very difficult time. I’m looking forward to seeing where 2014 takes you. Thanks for co-hosting the hop! Thanks for suggesting I return, Amy! It’s been fun reading so many new blogs and getting reacquainted with friends — though I immediately reneged on my vow to comment on all of them. And of course it’s been great to get all these wonderful comments. I am really moved at the welcome I’ve gotten for my return. I just re-read your comments from my first challenge back in 2011, right after we lost Ryker. Your comment about had you known about Ryker you would have sat shiva for him touched me deeply. And now I’m here to say the same for you. I’m so deeply sorry you have lost your sweet muse, Frankie, and hope that cherished memories of him will soon begin to ease the pain. Thinking of you at this time – and we’re glad you’re back! Thank you. I’m glad I said that, about sitting shiva for Ryker. And I appreciate the reciprocal sentiment very much.